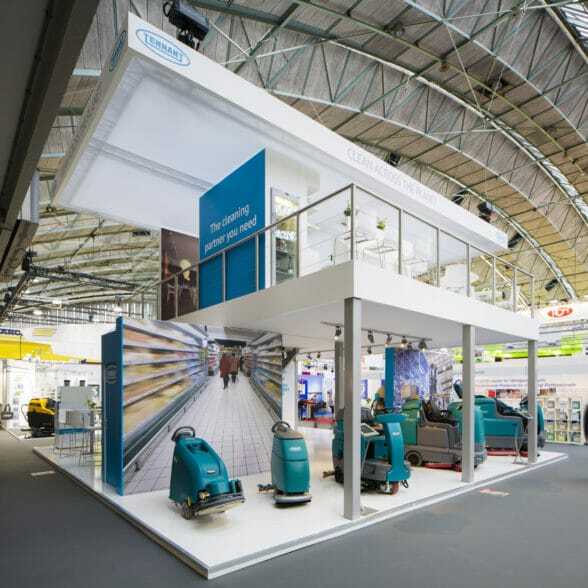 With a vision to become a global leader in sustainable cleaning innovation that empowers customers to create a cleaner, safer and healthier world, Tennant creates solutions that are changing the way the world cleans. Products include equipment used to maintain indoor and outdoor surfaces as well as TennantTrue financing solutions, equipment parts, service and maintenance to help ensure superior cleaning performance from Tennant machines. 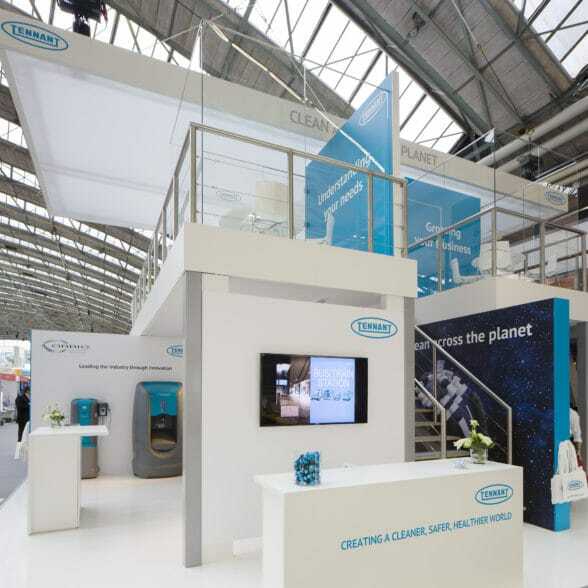 The purpose of the participation of Tennant at the Interclean fair in Amsterdam was to position Tennant as an innovative company in cleaning products. Tennant should be “incontournable” (French for “inevitable”) for a decision-maker with an interest for industrial cleaning solutions. Our overall challenge has been to define the fundamentals for the demanding objectives. 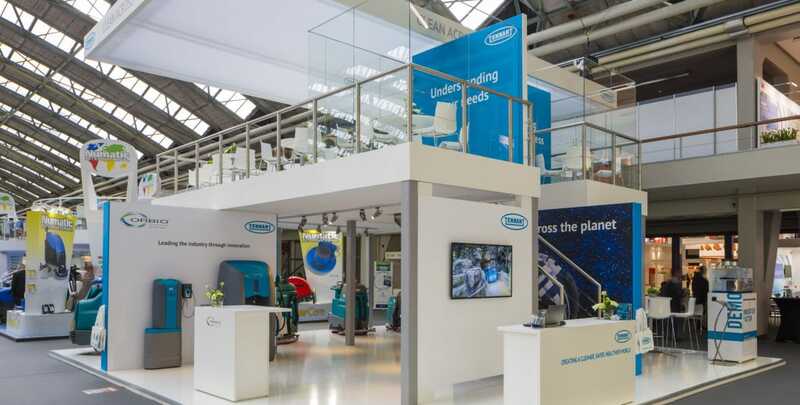 The outcome of the Plant the Brand creative association interview resulted in a clear customer request for an open, bold, state of the art and inviting concept and focus on innovation. Starting point in our creative thoughts was to develop an inspiring and compelling brand experience concept with emphasize on Tennant’s innovation power; strengthened by powerful bold messaging and strong visuals. 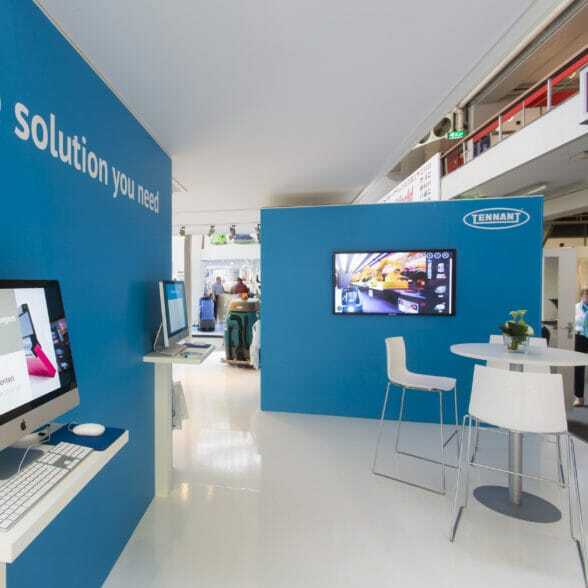 All impressive to stimulate and increase brand awareness, lead generation as well as to establish customer relationships. Our source for inspiration has been the Barcelona pavilion of Mies van der Rohe, a versatile Pavilion with strong and clear lines, very visual and even after almost 90 years still State of the Art, a wink to the rich past and promising future of Tennant. 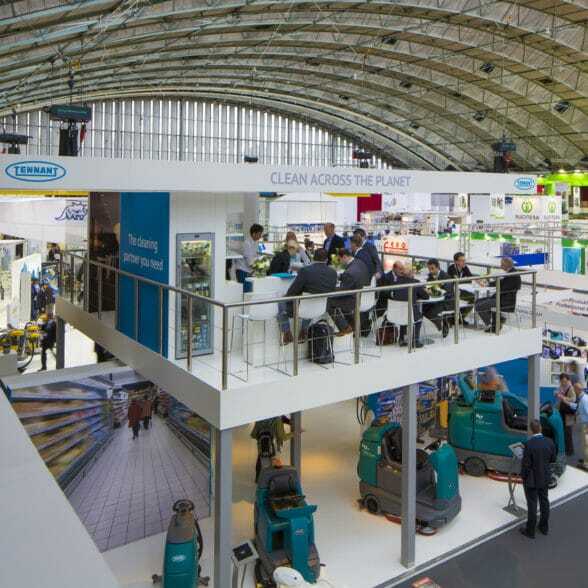 The “Pavilion of innovative cleaning solutions” confirms Tennant’s global leadership regarding industrial cleaning solutions. 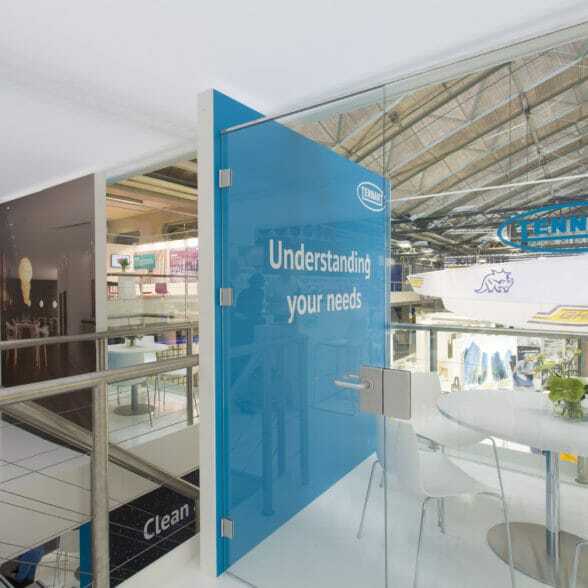 Available Tennant branding and communications is fully integrated in the architecture of the pavillion. 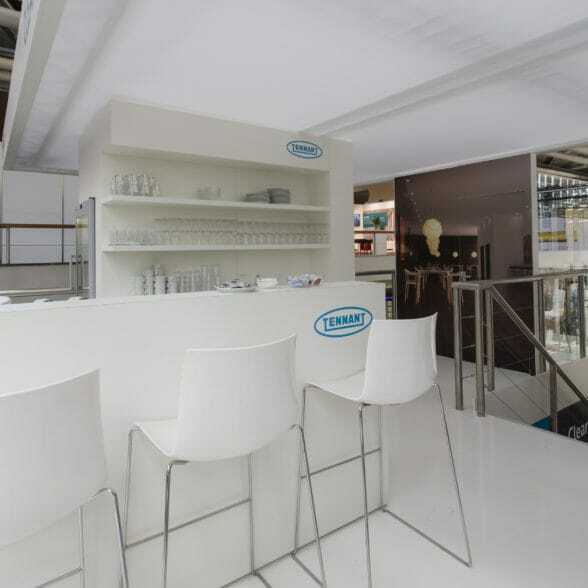 All presentations of Tennant products and solutions as well as informal meeting points are positioned at ground floor. Two transparent meeting rooms and a fully equipped hospitality area with bar and informal seating are situated on the upper deck.